I know using a home hair dye will land me with a telling off next time I go to the hairdressers, but some of us just can't afford to spend £70+ on getting a professional dye job done every 6 weeks. 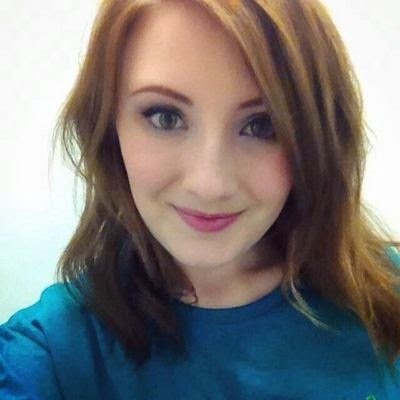 Although I wish it would, my student budget doesn't stretch this far, and the past few times I have had my hair dyed at the hairdressers, the colour has only lasted a few weeks anyway. For me, the money spent just doesn't match up to the colour quality; it is not worth doing anymore. 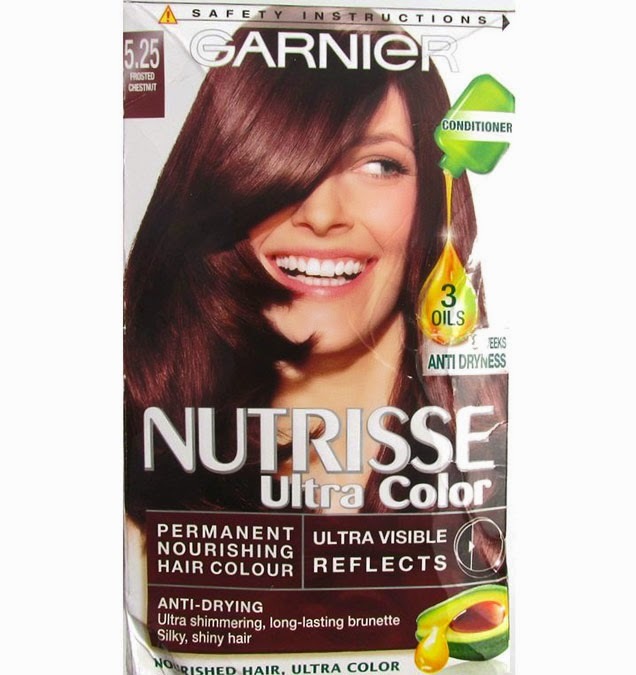 Being someone who has dyed their hair since they were 13/14 years old, I put a lot of faith in home hair dyes, and this Garnier Nutrisse Ultra Color is by far one of the best I've tried. One thing I used to find with packet hair dyes was that they totally dried my hair out, stripping all the goodness from it and leaving it feeling a bit frazzled. Garnier Nutrisse claim that their dye nourishes your hair twice in the process- during colouring and afterwards through the conditioner which comes with it. The anti-drying formula is enriched with shea butter and three different oils (avocado, olive and blackcurrent), which is supposed to leave your hair feeling silky and nourished for up to eight weeks after colouring. I have to say that this dye was a pleasure to use. While its scent was quite strong and chemically, my hair was left in excellent condition afterwards (especially considering how much it needs a good chop). In fact, this is the most nourished my hair has ever felt after using a home dye. Another major selling point of this dye is the shine it provides. Alongside the anti-dryness formula, this dye contains "reflect-enhancing technology", making the colour even more radiant than usual. While it is easier to get a good shine with brunette hair, as opposed to blonde, I do find my hair is smooth and shiny. I picked up two colours (it was on offer, 2 for £9), 'Iced Coffee' and 'Frosted Chesnut'. I used the latter on my hair, opting for the more red undertones which suit my skintone better. The colour is vibrant, although you can see that some patches are a lot darker than others. I have yet to test out the colour longevity, but will update this post after 8 weeks. This dye honestly leaves your hair feeling like you've just left the salon, but just for a mere fraction of the cost. 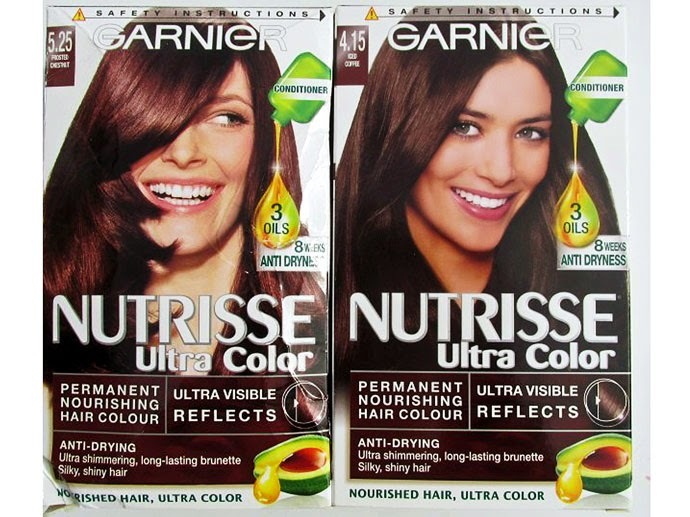 For those on a tight budget, Garnier Nutrisse is a fab, high-quality alternative. Are you a lover of home hair dyes?